MPM-8 Megatron (Transformers 2007) Showing figures in both modes, accessories and packaging. MPM-9 Jazz (Transformers 2007) We have comparison shots next to Megatron, all the accessories (including Sam’s figurine) and a look at the front and back of the box. Jetwing Optimus Prime (Dark of the Moon) – An impressive reuse of what seems to be SS-32 Voyager Optimus Prime with a trailer that can transform into his weapons ring and pieces that can be attached to Optimus to recreate his flight mode as seen in the movie. Scouts Optimus Prime and Grimlock, and a Scraplet! Spark Armor figures Prowl, Bumblebee, Megatron, Optimus Prime, Jetfire, Starscream, and a new one, Shockwave! Shockwave’s armor figure is a satellite in possible reference to his Energon incarnation. 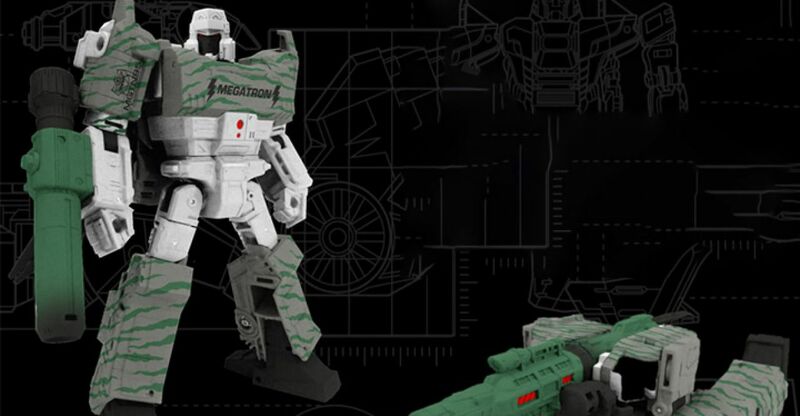 The Hasbro Panel has just ended, giving us the reveal of an upcoming G2 War For Cybertron: Siege Megatron repainted from the current Siege Megatron mold! In addition to that, pre-orders for Megatron and other recently revealed Siege figures have started going up on our sponsor sites below! TFW2005 team is at New York Toy Fair 2019, for the Hasbro Product Presentation where all the cool reveals take place. We are going to update this news post periodically and the last update time is denoted below; so that you’ll know when to take a look after the jump. As with last year, no pics allowed at the panel. Transformers: Bumblebee movie officially declared as “a new storytelling universe”. 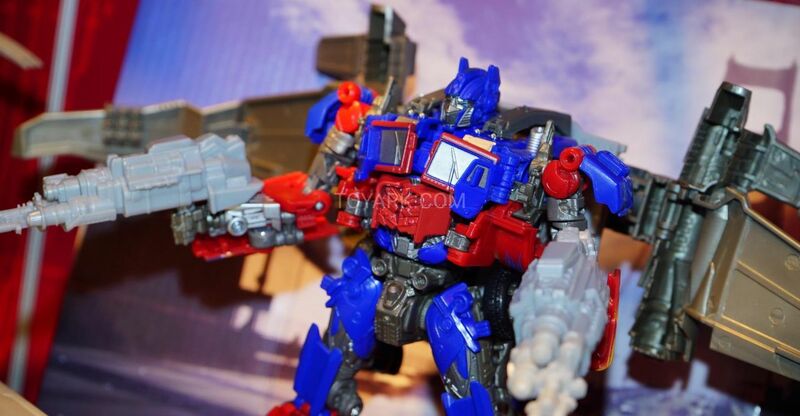 Transformers: War For Cybertron – Siege reveals. Transformers: Cyberverse season 2 Power Of The Sparks. 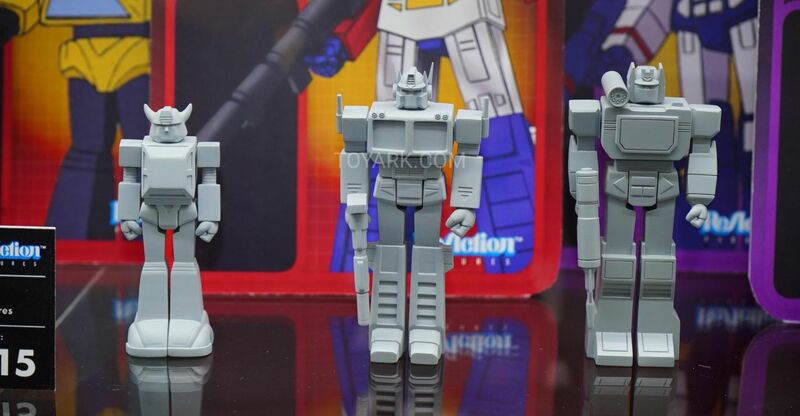 Generations Select G2 Megatron revealed. 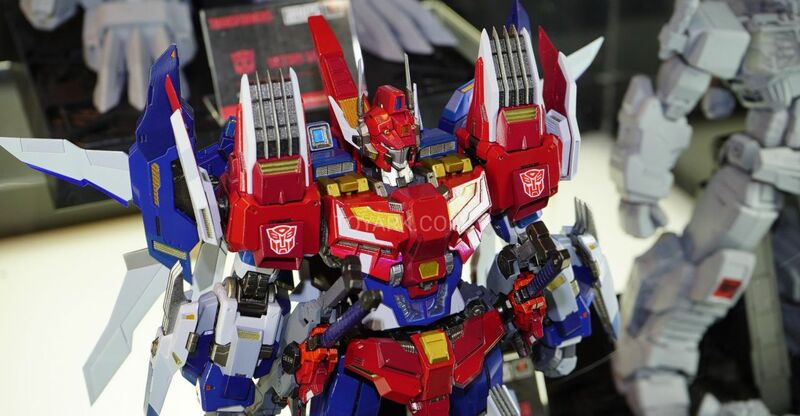 Super Cyborg – Optimus Prime And Megatron shown. Big vinyl figures with clear inner parts. Available in June 2019 for $75. Superbucket – G1-inspired buckets molded as the heads of Optimus Prime and Megatron. Available in August 2019 for $20. Super7 ReAction Figures – Figurines of G1 classic characters in retro style and packaging. Optimus Prime, Megatron, Soundwave and Bumblebee prototypes on display. Available in August 2019 for $15. Hello and welcome to another TFW2005 Event Coverage. The staff members cordially invite all of you for our annual New York Toy Fair News Coverage; which kick-starts right now and will continue on throughout this weekend. Hasbro CEO Brian Goldner hosted the Toy Fair 2019 Hasbro Investor Preview Day today and revealed future plans for the Transformers Franchise by giving sneak peeks to the gathered investors and press. We attended live online to bring you the latest update before the big event tomorrow. Sneak Peek – New Hasbro Toy Shop. Transformers Universe – Live Action Movies Of The Future. Transformers: War For Cybertron animated series for Netflix. Hasbro’s Transformers content for China. Transformers: Cyberverse season 2 and Rescue Bots Academy. For our full coverage with images, read more after the jump. Don’t forget to tune into TFW2005 this weekend for the best Toy Fair 2019 coverage around. HD photos, juicy info… you name it… we got it. Each 11” tall Super Cyborg figure is fully articulated and features a transparent removable chest panel revealing the robotic guts within. The heroic Optimus Prime and evil Megatron are the first screen-accurate action figures of the original Generation One cartoon designs. Like last year’s A-01 Optimus Prime and “Dead” Optimus Prime, we expect these items to be made available for purchase at future conventions in 2019 as well as the Super7 online store. Stay tuned to TFW2005 for our upcoming coverage of Toy Fair New York! 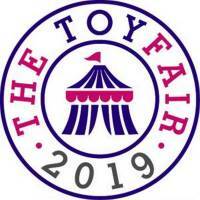 Toy Fair season has begun and the second toy fair of the year (followed by Hong Kong Toy Fair) is London Toy Fair 2019. Although the latest toys are for exclusive eyes only, London Toy Fair serves as a preview for its big brother; New York Toy Fair. Update 01/18/2019: Unlike previous years, Hasbro will be revealing their content from the fair; whether you are visiting their booth or eagerly waiting for the reveals online (subject to change). Visit TFW2005 from January 22nd to take a look at the possible reveals. Thanks to our contacts, we did receive a word on what will be showcased at this year’s UK fair. You can learn more about each one and what they will showcase, after the jump. London Toy Fair will take place from January 22nd to January 24th at Olympia, London.